Our news hens are picking up production so our egg supply is steadily building. We will have eggs for sale tomorrow at our store. We hope to resume our deliveries in early January. We will open tomorrow from 9am to Noon. See you Saturday! We still have a whole ham and a half ham available if anyone needs ideas for Christmas dinner. We will be open this Saturday from 9am to Noon. Check out our products page for a complete list of everything available. See you Saturday! We have 100 spent hens ready to be butchered for soup chickens if anyone is interested. We need to know how many people want before we schedule a butcher date. The chickens cost $8/bird. Let us know if you are interested. Also, we will be open Saturday from 9am to Noon. See you Saturday! We will not have any eggs available this week at the store, however, we picked up our new laying hens today and we will have eggs for sale again next week. We will also be resuming out weekly deliveries. We will be open tomorrow from 9am to Noon and still have a great selection of meat. Please check our products page for a complete list of everything available. See you Saturday! Get Ready for Turkey Day! We will be open tomorrow from 9am to Noon. We have the bacon and sausages you need to make your meal complete. We also have eggs and all of our great beef, pork and chicken if you need a break from turkey leftovers. Please check the products page for a list of everything we have available. We recently started carrying beef short ribs for $4.50/lb. We also restocked some favorites that we had been out of for quite a while, hot stix and summer sausage. Come see us to give them a try! We will have chickens on Saturday, November 2nd. The store will be open from 9am to Noon. We will have 8pc cut-up and whole roasters available. We also have a large selection of beef and pork. We will have summer sausage, ring bologna and hot stix available on the 2nd. Check the products page for a complete list of everything available. See you Saturday! In case you missed it last week, we butchered a few animals so our inventory has restocked. Also, we will have chickens starting November 2nd. The store is open from 9am to Noon every Saturday so come and see us! Please check our products page for everything we have available. See you Saturday! We picked a steer and hog today so several items have restocked including ring bologna and pork shoulder roasts. Check out the products page for a complete list of everything available. See you Saturday! Don't forget we are open every Saturday from 9am to Noon. We have a great selection of grass-fed beef available as well as our delicious pork. We also sell hay and straw for decoration, garden protection or whatever you might want to use it for. Come and check us out! We are in the process of raising our next batch of chickens so keep checking here for updates. The birds should be available foe sale in about 7 weeks. We will be open this Saturday from 9am to Noon. Our freezers are well stocked and it looks like it will be a beautiful day! Come and stock up! Please check out the products page for a complete list of everything we have available. See you Saturday! We will be closed Sat. Sept. 7th for a family event. If you need something before the weekend please call so we can work out a pick-up time. We will be open again Sat. Sept. 14th from 9am to Noon. See you then! Don't forget we are open every Saturday from 9am to Noon. Our freezers are well stocked and we will have eggs for sale. We are currently out of chickens, but we have started our next batch of broilers so we will have more in 8 or 9 weeks. I will update you here on their progress. We also sell hay, straw and local honey so come and check us out. Please take a look at our products page for a complete list of everything we have available. See you Saturday! We will be open tomorrow from 9am to Noon. We butchered a hog and steer that we picked up last week so our freezers are STOCKED. Help us empty our freezers by filling up your own with tasty meat! Hope to see you Saturday! We are picking up a steer and two hogs we butchered and the meat will be available for sale on Saturday from 9am to Noon. We will have ground beef, steaks, BACON, and all you other favorites. Plus, our rib steaks are on sale for $10/lb. Check out our products page for a complete list of everything available. See you Saturday! We are still open every Saturday from 9am to Noon. We have a good selection of beef and quite a bit of pork. We are currently sold out of chickens. Please check the products page for a complete list of everything available. See you Saturday! We are open every Saturday from 9am to Noon. We are well stocked on beef and pork. We are currently out of chickens and eggs are limited. We will be raising more chickens that will be available for sale some time in early Fall. Please check out our products page for a complete list of everything we have available. 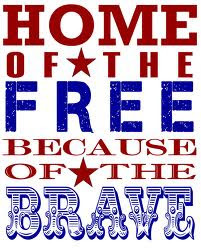 We would like to wish everyone a happy and safe Independence Day! We still have plenty of beef from the steer we had butchered two weeks ago. We also have lots of pork so come and stock-up! We are out of chickens for right now, but will be raising some a little later this summer that should be available in early Fall. I will keep you posted on their progress. We will be open tomorrow from 9am to Noon. Hope to see you at R-Farm! We butchered a steer and will be picking the meat up on Friday. It will be available for sale on Saturday, June 14th from 9am to Noon. Please check out the products page for everything we will have available. We will also have rhubarb and asparagus for sale. See you Saturday! Don't forget to come and stock up on all your favourite pork products this Saturday, June 8th. We restocked our pork supply so check our products page for everything we have available. See you Saturday! We picked up the hogs we had butchered today and the meat will be available for sale tomorrow from 9am to Noon. Please check out the products page for a complete list of everything we have available. We also had another litter of baby pigs if you want to check them out. The barn is pretty much overrun with hogs of all sizes and it is a sight to see! Don't forget we also have chicken, eggs and a little bit of beef. We also have straw for sale. We will be closed Saturday, May 25th for family reasons. We would like to wish everyone a happy and healthy Memorial Day weekend. We will be open this Saturday, May 18th and again on Saturday, June 1st from 9am to Noon. See you then! We will be open this Saturday from 9am to Noon. This is the last time I will be posting our hours on the home page unless we have an animal butchered and our meat supply is restocked or something else regarding the store happens. I will continue to change the dates on the products page and post on Facebook. We used to be closed in the winter, but the last two winters we have been open every Saturday with a few exceptions. I will always post here and the products page if we have to close for some reason. So basically, if there isn't a note saying we are closed, we will be OPEN EVERY SATURDAY FROM 9AM TO NOON. P.S. Don't forget to ask about the baby pigs! We had 13 baby pigs born last night! We will be open Saturday from 9am to Noon. Please check out our products page for a complete list of everything we have available. Note: If you pull up to the store and no one is there please honk and wait a minute. We are sometimes in the garden, the barn or in the shop working on equipment. Your patience is appreciated! Thanks! We will be open this Saturday from 9am to Noon. We have some beef, a good amount of pork and chickens and eggs. We also sell straw. We will also have asparagus for sale if enough comes up by Saturday. Please check out our products page to see what is available. Thanks! See you Saturday! We will be open this Saturday from 9am to Noon. Check out our products page for a complete list of everything we have available. Don't forget we also have straw! See you Saturday! We will be open Saturday from 9am to Noon. We are out of bacon and almost out of ground beef but we still have other cuts available plus chicken and eggs. Please check out our products page for a complete list of everything we have available. See you Saturday! We will be open this Saturday from 9am to Noon. We have lots of beef, pork, chicken and eggs for sale. We have BACON! Please check out our products page for a complete list of everything we have available. Don't forget we also sell straw if you are thinking about your gardens or animal bedding. Did I mention we have BEEF??? We will be open tomorrow from 9am to Noon and we have restocked out beef supply. We also have a good amount of pork as well as chicken and eggs. Please check out our products page for a complete list of everything we have available. See you Saturday! Note: We also had a hog butchered and will be picking it up next week. I will update the products list after we pick up. We will be open tomorrow from 9am to Noon. We will be picking up the steer we had butchered tomorrow morning so the meat should be back for sale in the store no later than 10am. We also have pork, chicken and eggs for sale. I have updated the products page to reflect everything we will be picking up. Thanks for your patience and we will see you tomorrow! We will be open tomorrow from 9am to Noon. We have a good selection of pork, chicken and eggs, but we are out of beef for the most part. We are butchering this week and the meat will be available for sale next Saturday. I will update the products page when we pick everything up. If you have any questions please let us know. See you Saturday! We will be open tomorrow from 9am to noon. We are still very low on beef, but we have a nice pork selection and chickens and eggs. We also have straw from sale. Please check out the products page for a complete list of everything we have available. We will be butchering March 21 so we will have more beef by the end of the month. I will keep you updated when we pick everything up and when it will be available for sale. See you Saturday! We will be open tomorrow form 9am to Noon. We have lots of pork, chicken and eggs. We are very low on beef, but will be butchering this month so it won't be long! I will update you when we have a butcher date. Check out our products page for a complete list of everything we have available. See you tomorrow! We will be open tomorrow from 9am to Noon. We are pretty much out of beef, but we have plenty of pork, chicken and eggs. Please check out our products page for a complete list of everything available. See you tomorrow! We will be open this Saturday from 9am to Noon. Please check out our products page for a complete list of everything we have available. See you Saturday! We will be open this Saturday from 9am to Noon. We will have BACON! We are picking up two hogs that we had butchered so please check out our products page for a list of everything available. See you Saturday! We are open again this Saturday from 9am to Noon. We have a great selection of beef and pork, plus lots of chickens and eggs. We also sell honey from a local producer. We will be picking up some hogs that we had butchered next week and the meat will be available next Saturday. Please check out our product page for a complete list of everything available. See you Saturday! We will be open this Saturday, February 2nd from 9am to Noon. We picked up the bacon from the hog we butchered and it will be available for sale tomorrow. Please check out our products page for a complete list of everything we have available. See you tomorrow! We will be open this Saturday from 9am to noon. We are picking up a steer and a hog from the butcher on Saturday and we should have it back by the time we open. We also have chickens and eggs. Check out the products page for a complete list of everything we have available. See you Saturday! We will be open tomorrow from 9am to Noon. We have eggs, chickens, pork and a small amount of beef. We are butchering a steer that will be available for sale next week. Please check out the products page for a complete list of everything we have available. I will update the products page next week after we pick up the steer. Thanks! See you Saturday! Sorry for the late post. We are open today from 9am to Noon. We have eggs, chickens, pork and a little beef. Check out our products page for a complete list. Thanks! We will be open this Saturday from 9am to Noon. We have beef, pork, chicken and eggs. Check out the products page for a complete list of everything available. See you Saturday!